Yeah, but: Time heals all wounds. I hope. Updated 25 September 2008: My lens has come back from service, and Sigma has confirmed that there is an incompatibility between this lens and the Olympus E-3. Depending on the individual lens, it may require a firmware upgrade, performed at the service centre, or it may require a new main board. In my case, that took almost two months. Apparently the boards for the 4/3 mount are lovingly handcrafted out of pure mithril. 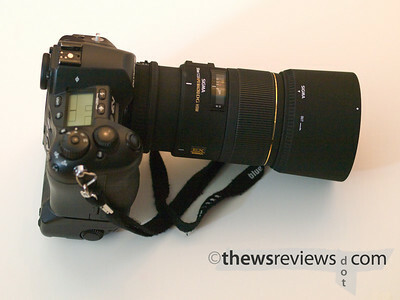 Updated 7 February 2009: A longer-term review of this lens can be found in part two. 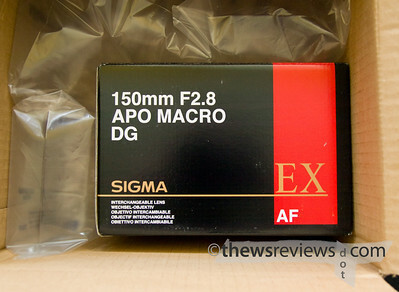 The Sigma APO MACRO 150mm F2.8 EX DG HSM is clearly a lens to be taken seriously, and I'm not going to make any claims at having a full or representative experience of its quality or performance. But I did find some significant compatibility issues when this lens is used with the Olympus E-3, so if you're planning on buying this lens in 4/3 mount, read on. There are several rigorous and reputable sites that review lenses, so if you're reading this with a serious intent to buy, I'll assume that you're already familiar with its reviews on slrgear.com and photozone.de for both Canon and Nikon mounts. They're both useful sites, and lots of people write about the ones that they own. But Sigma lenses in 4/3 mount are rare, and lenses don't always work the same way from one system to another. 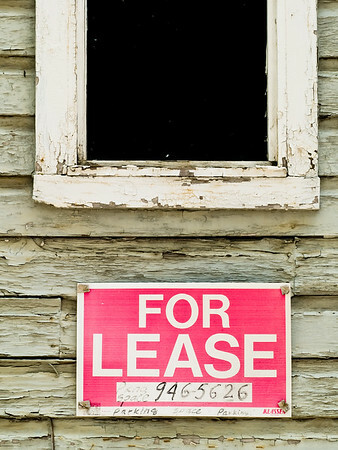 For Lease was shot with my trusty and reliable Olympus E-1, which was the subject of my very first review, and the camera and lens worked very well together. The files are nicely detailed and have good tonal range, but are a bit softer than I would like to see. Physically the lens itself is very nicely built, and the "EX" finish that marks Sigma's premium lenses isn't as conspicuous as I had feared. One of the biggest surprises with the Sigma is just how slow the focusing is. To be friendly, I'll say that it's on the relaxed side of leisurely. Now, the E-1's no speed demon when it comes to any auto-focusing, but this combination deserves special mention. It's even slower than the E-1 with the 50mm f/2 macro, which was my previous benchmark for what "slow" means. This is NOT a lens that will replace the Olympus 150mm f/2.0 for sports, photojournalism, or crawling babies. If you're thinking that the only tradeoff with this lens is that it's just a stop slower than the $2400 Oly lens - but with the bonus Macro ability - well, TANSTAAFL. But I've also tried the Sigma 150mm in EF mount on a Canon 5D, and my subjective impression is that the 5D spanks the Olympus for focusing speed. Even having used the lens on the faster-focusing E-510, I'd give Canon the advantage here. I'm looking forward to being able to try them side-by-side, along with the lens on a Nikon, and will include that in a later review. A nice design feature of the Sigma 150 is its removable tripod mount. This has a simple cam-locked release that can be undone with a simple twist, allowing the collar to swing open and come off of the lens without having to dismount the camera. Very handy. It doesn't add any more bulk to the collar, and looks much nicer than the shiny silver dots that are left behind on the Olympus lenses when they're being used al fresco. The hood is well built and doesn't act like it's planning on falling off. It also comes with a souvenir lens case which is nicely built and well padded, but I'm still not quite sure how I'm supposed to use it. You may have noticed that the lens looks a little different this time around, and that's because it acts differently. On my E-3, this one particular lens had a problem with intermittent-but-consistent front-focusing. The camera body works fine with my eleven Olympus lenses, so after one frustrating week of considering my options and testing every possible combination of factors, the lens went in for service. It's been there three weeks so far, and there's no estimate of when it will be "fixed" - where fixed means "works the way it was supposed to from the very beginning". Right now it's waiting for parts, which isn't part of Sigma's commitment to 48 hour turn-around for its professional-grade EX series lenses. Now it's quite possible to say that this is an isolated case. But my 150 Macro worked fine - but perhaps a little soft - on my other two bodies. That suggests to me that there's something new a different about the E-3's focusing system, and that there's a fundamental disconnect between the top-grade Olympus camera and the top-grade Sigma macro lens in four-thirds mount. So in the name of research I've sought out other's experience on a large and popular forum for Olympus-using photographers. The tally was six different E-3's have been tried on a total of seven different Sigma 150mm Macro lenses, and every single one has had front-focusing issues. Three of those same lenses were also used on other E-System cameras, and each functioned properly. Another 150mm Macro lives happily on an E-510 without any problems at all. I think the conclusion pretty much draws itself on this issue. My first month with my Sigma APO MACRO 150mm F2.8 EX DG HSM has been frustrating, disappointing, time-consuming, and very educational. My conclusion so far is that I won't be buying any more Sigma lenses because the danger of them not being inherently compatible with future Olympus bodies, while slim, is very real. I haven't quite gotten to the point of wishing that I hadn't bought it - but then my credit card bill only just arrived - because the results that I've seen from "fixed" copies of this lens have been spectacular. I'm eagerly awaiting its return from the service bay, because it really is an excellent macro lens that will help me in my business, and it suits my style of general photography perfectly. But I certainly can't recommend that anyone else buy this lens unless they're willing to experience some complex and multi-layered buyer's remorse. Continue on to Part 2, in whihc our hero finally has his 150mm Macro working properly on an Olympus E-3 by clicking HERE. 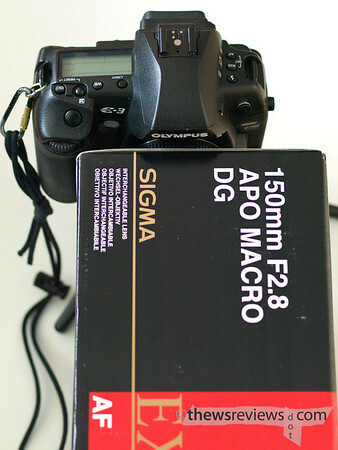 The incompatibility between Sigma 150 Macro lenses and the Olympus E-3 can be fixed by upgrading the firmware on certain lenses. 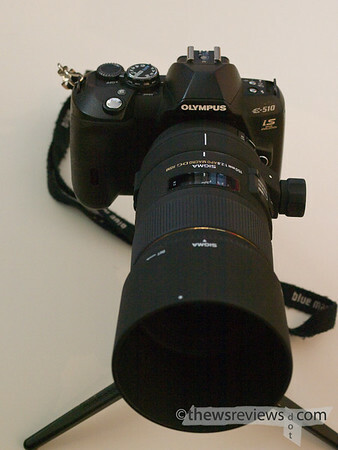 Since this review was originally written, Panasonic and Olympus have introduced the ability to have their lenses' firmware updated on each other's bodies. Sigma is at least a nominal participant in this project, but at the time of this update (25 October 2008) has not posted anything to the joint firmware update service. You can check this link to see if the situation has improved. for high magnification, the E3+150 wins. I like the "shoulda bought a nikon" comment, pretty funny. Most people don't realize that it doesn't matter terribly what equipment you use, it's what you do with it. I've seen C-5050 shots that can blow E-30 shots out of the water. I've seen shots from a 9 year old that photographers of 15 years couldn't accomplish. People should quit getting caught up in the brand as much as whether or not it can do what you need it to do. Hope you've enjoyed your 150mm, I hear nothing but good things about it. I bought also this same lens for my E-620 body. Seems to work great, I have no issues so far with it. AF is slow and seeks quite often, but I prefer MF most of time.